Employers issue Form W-2 to their employees. Taxpayer information is shown on the left side of the form. On the right side are codes and financial information, and the bottom of the form displays state and local tax information. A W-2 must be issued to every employee who earned at least $600 or had taxes such as Medicare or Social Security withheld. 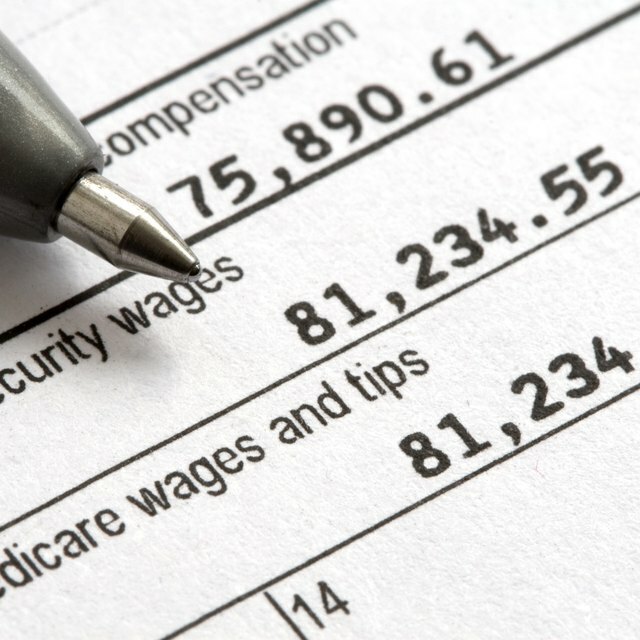 Employers must issue Form W-2 to the employee by Jan. 31. If Jan. 31 falls on a weekend, the deadline is the first business day in February. Employees should receive Form W-2 by Feb. 14. After that deadline, you may enlist assistance to obtain the form by calling the IRS at 1-800-829-1040, providing your name and address, the name and address of your employer, the employer’s identification number, if known, and an estimate of wages earned, including employment dates and taxes withheld. The employer must also send a copy of each employee's W-2 to the Social Security Administration by the end of February or, if filing electronically, the end of March. After calling the IRS for assistance, the IRS will send the employee a Form 4852, Substitute for Form W-2, Wage and Tax Statement, with instructions for completing the form. If the missing W-2 is not received in time to file taxes, you can use Form 4852 to complete your tax return, attaching Form 4852 to the return when it is mailed. If a Form W-2 is eventually received, and the information differs from that on the submitted Form 4852, you may file Form 1040X, Amended U.S. Individual Income Tax Return. Employers can incur penalties for providing incorrect information on a Form W-2 or for intentionally providing false information. Filing incorrect information may simply be the result of careless record keeping such as providing an incorrect taxpayer identification number, reporting incorrect wages or taxes withheld, or failing to deliver the form to employees in the time required by law. The penalty is based on the time between the correct filing and the original filing due date. For instance, if the corrected form is filed between 30 days after the due date and Aug. 1, the penalty is $60 per form with a maximum of $500,000 per year unless the business qualifies as a small business – average annual gross receipts for previous three years of $5 million or less -- in which case the maximum is $200,000. Fraudulent filing carries a penalty of at least $250 per form, and there is no penalty limit. Filing fraudulent information opens up the employer to the possibility of a civil suit by the employee because the employee’s tax liability will be based on the information provided to the IRS by the employer. When a tax return is signed, the taxpayer is stating that the information provided is correct. Knowingly signing a return that contains incorrect W-2 information is committing perjury and may result in a sentence of up to three years, fines up to $250,000, or both. If the purpose of filing incorrect information is to evade taxes, such as not including all income earned as documented in Form W-2, the taxpayer may be subject to penalties that include imprisonment for up to five years, fines up to $250,000, or both.